Last week delegates from across the Victorian local government sector attended the ASU’s first ever local government summit. 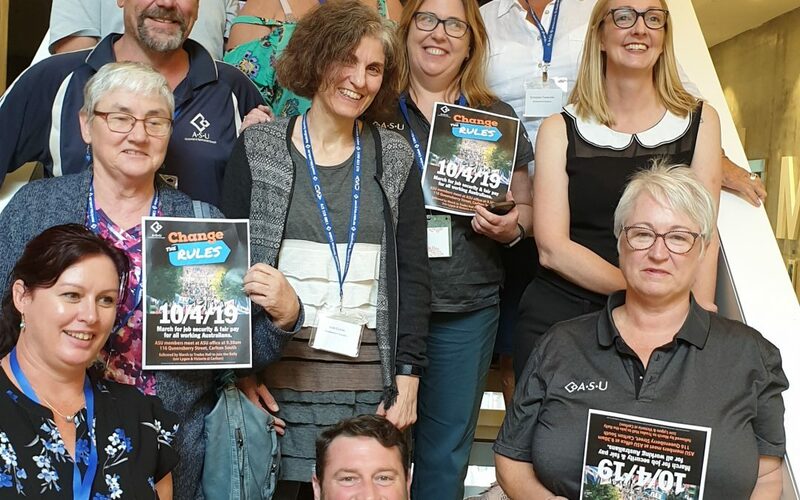 Speakers at the summit included Victorian Trades Hall Council secretary Luke Hilakari, ASU leaders who successfully fought back against rate capping proposals, and local government sector leaders. An important part of the summit was attendees setting out our next steps in a forceful campaign against the Victorian Government’s failed rate capping policy. The summit heard from both academic and on-the-ground experts on the impact that rate capping has on local government workers and on communities. The multifaceted plan incorporates workplaces, the local government industry, community, and councillors. Delegates and members also identified campaigning strategies to harness our collective strength to put maximum pressure on decision makers to change the rules on rate capping. Summit attendees also endorsed a set of principles for ASU endorsement of candidates for election to Council. have a demonstrated capacity to act in the best interest of the community.